Here are easy techniques and props that will allow you to make a coin mysteriously vanish. Here's a different way to make a coin disappear. Most of this trick relies on a clever gimmick that you make beforehand. You show four coins in your hand. After closing your hand, you show that one has mysteriously vanished. 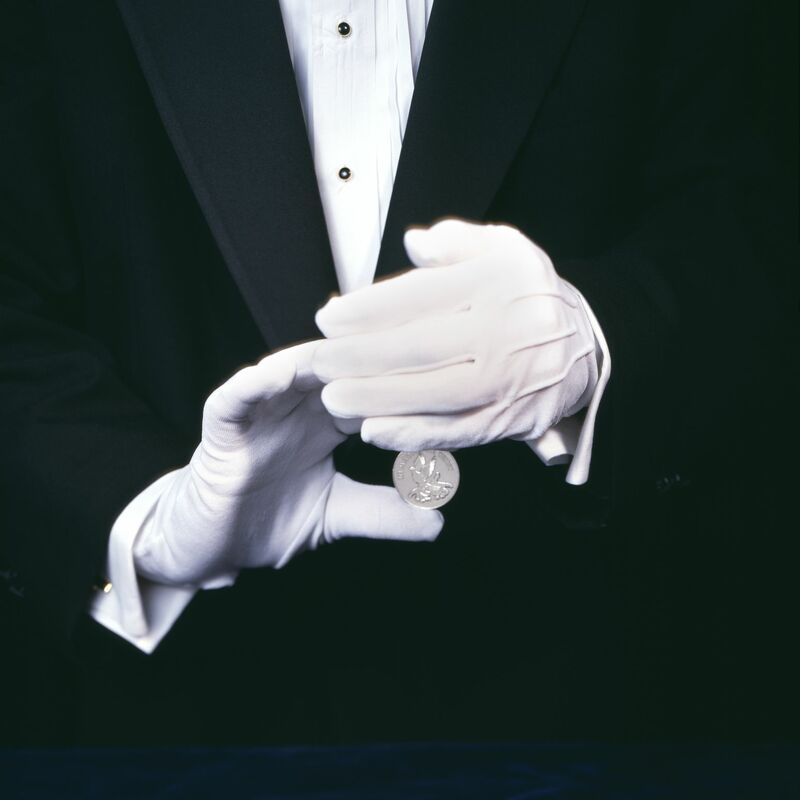 Here's a basic sleight-of-hand method that allows you to make a coin disappear. Here's an easy magic trick that allows you to vanish a coin. The coin seems to vanish into thin air. The effect requires no sleight of hand and relies on a bold move. At the end, the coin has completely disappeared. Here's an easy magic trick that provides a great way to vanish a coin. You show two rings, a playing card and a coin that are sitting on a piece of paper. If you like, you can borrow the coin. "The Coin Slide" is an ultra-simple trick for young kids to learn and perform. It's available from any magic dealer and many toy stores for less than a couple of dollars. A mechanical trick, the effect does all the work to make a coin disappear and reappear. It's a perfect first trick for a youngster. In this easy trick, a coin is placed into a handkerchief where it mysteriously disappears. You can perform this one just about anytime, anywhere. All you need is a quarter and a handkerchief, and that special secret. In this easy trick, you make a coin vanish right before spectators' eyes. It's all in the gimmicked card that you prepare ahead of time.